Green is worldwide known as the ecological colour. The eco-trends have raised green to the Olympus of ecological branding design. However, not only is it good for eco-branding design but also it is a great colour to relate brands to fun, leisure, harmony and peace. So, there are a wide range of beer, .coms, food, betting, sports, etc. companies that chose green as their corporate colour to take advantage of this extra features. Current eco-trends have involved branding design in a green fever that is reducing considerably the psychological differences between organic and eco-friendly brands. Of course green is the colour of nature, so relating green brands and products to it is something that people minds can’t help. Nevertheless, the green advantage is not a big deal anymore. If you take a minute to think about organic brands, you’ll soon realize that you’re unable to differentiate them because they’re pretty similar. 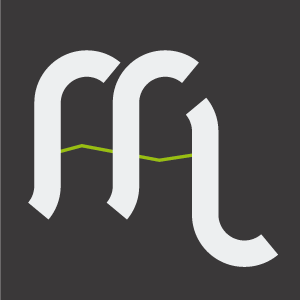 So you should be aware of originality and singularity are the tribute you must pay if you are looking for a green ecological branding design. Apart from the current ecological fever, green has the quality of striking the eye in such a way as to require no adjustment whatever and is, therefore, restful. Being in the centre of the spectrum, it is the colour of balance; a more important concept than many people realise. It also owns other psychological features such as expressing harmony, refreshment, intelligence and last but not least, equilibrium. Green is much more than a colour, green is a universe of sensations. There are lots of brands apart from the eco-market that decided to chose green as their corporate colour. Green perfectly preserves its originality and singularity at other markerts such as leisure, fun, tourism, etc. Green would be a perfect choice if you’re thinking of relating your brand to positive thinking and refreshment. 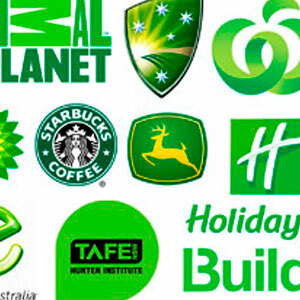 So, think twice before rejecting green as your corporate branding design colour. Green is much more than a colour, green is a universe of sensations.